I met the dudes from Snailhuntr while working with Unwed Sailor on their site. Matthew Depper and Matt Putman had come up with some wonderfully strange drawings they wanted brought to life, one of which you can see here. 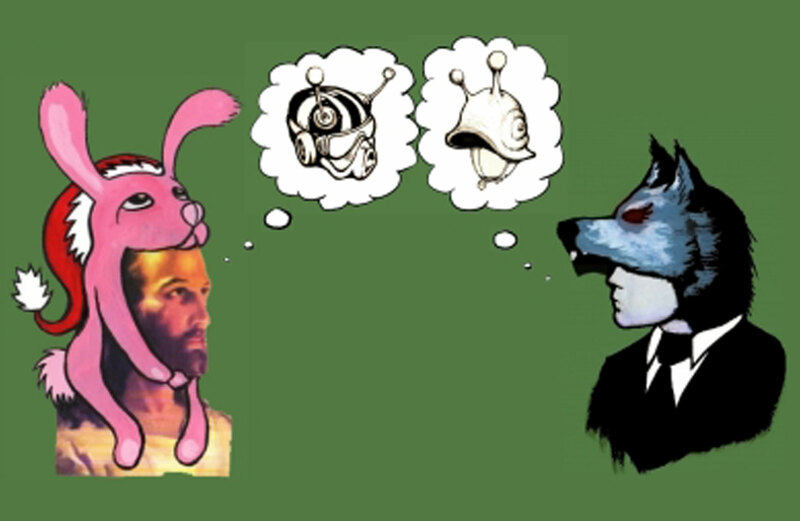 The project was halted for reasons I don’t remember, but a fair amount of it was accomplished, and this little piece with the wolf-man and rabbit-Jesus facing off was one of the things I animated.